Racing transmission transbrakes rely on tightly wound electric solenoids to activate and release. These tiny mechanisms are actually the same used on bomb deployment systems for air force bombers! Because of their precision design, nature of construction, and the high stress environment in which they operate, they can be hard to diagnose or understand when things don't seem to be working correctly. Ensure that you have a proper ground. Grounding to the chassis or directly to the battery is preferred. Do no ground the solenoid to the transmission case. There is some evidence that the grounding of the solenoid to the case can cause electrical arcing within the planetary gears. Excessive transmission temperature can affect the solenoid operation. Always monitor your fluid temperatures, and if they rise above 200 degrees during normal operation, investigate and resolve these high levels. The solenoid contains moving pieces and should periodically be removed and cleaned with high pressure air to remove debris. Check battery voltage levels. Also, check voltage of wires leaving any delay boxes or other devices that may be between the battery and solenoid. If the transbrake solenoid seems to be weak or releasing early, try adding small shims between the solenoid and transmission case. We have seen some variance in the dimensions of aftermarket and OEM cases, as well as valve body castings. 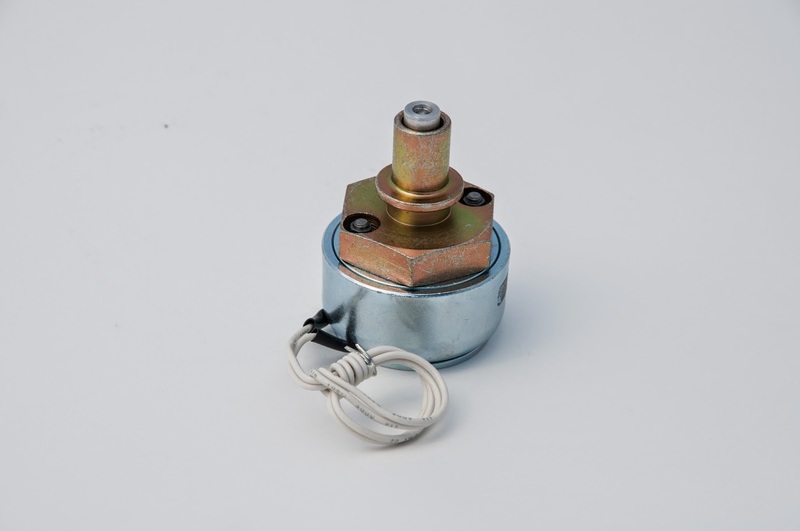 If the solenoid is too "close" to the valve body and the brake valve pushes the solenoid plunger out too far beyond its effective area, the electromagnetic force cannot overcome the fluid pressure behind the brake valve. As always, please comment or contact us if you have any questions regarding your transbrake solenoid.